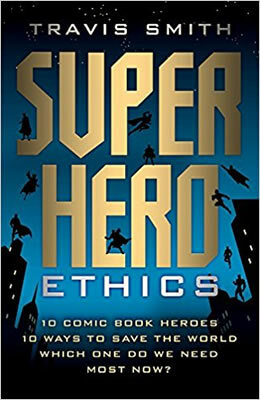 smartbooks.com Feature: Superhero Ethics: 10 Comic Book Heroes; 10 Ways to Save the World; Which One Do We Need Most Now? Although these outlandish figures—in their capes, masks, and tights, with their unbelievable origins and preternatural powers—are often dismissed as juvenile amusements, they really are profound metaphors for different approaches to shaping one's character and facing the challenges of life. Using superheroes to bring into focus these timeless themes of the human condition, Smith takes us on an adventure as fantastic as any you’ll find on a splash page or the silver screen—an intellectual adventure filled with surprising insights, unexpected twists and turns, and a daring climax you'll be thinking about long after it's over.